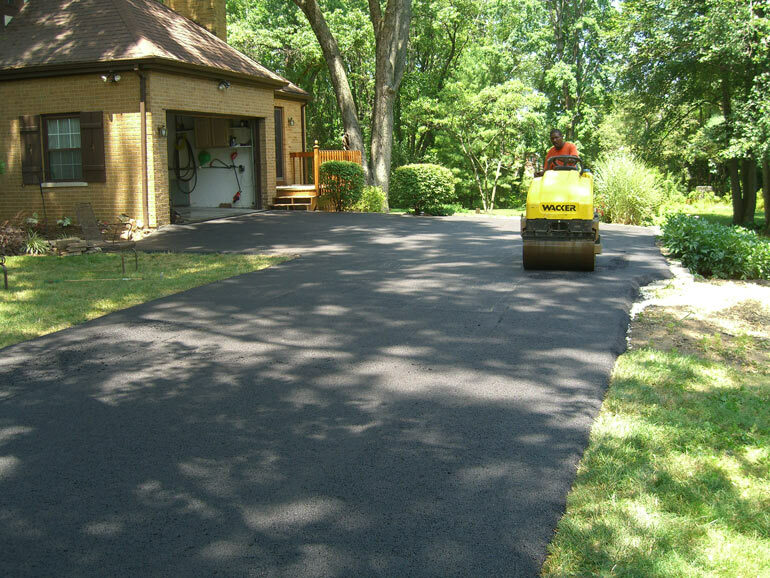 Asphalt Resurfacing, also known as asphalt overlays, is performed when your driveway has started to deteriorate due to age and normal wear and tear. 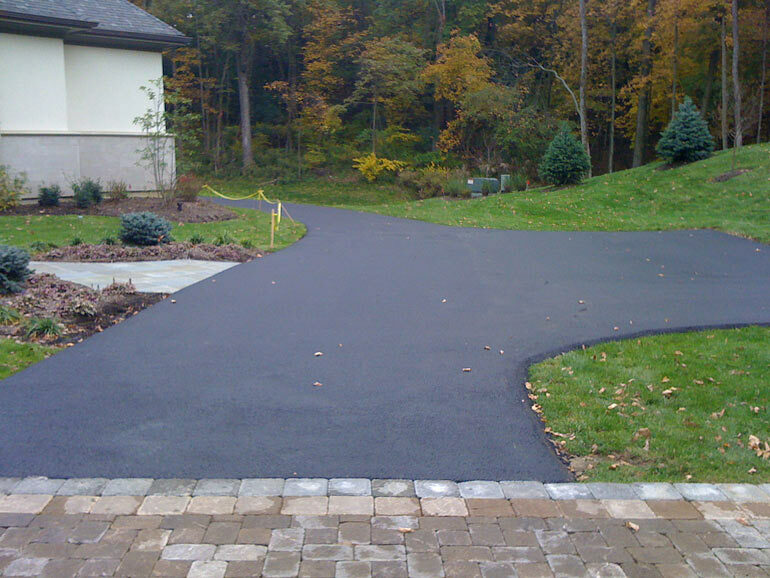 Assuming the existing driveway subgrade is stable and there is not a significant amount of surface cracking, the existing asphalt can provide more support than a gravel base. 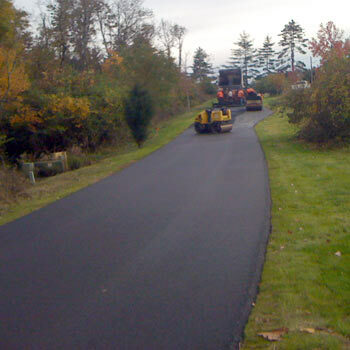 Asphalt resurfacing also offers a cost savings since we would not have to excavate the existing driveway; however, some prep work will still be required. 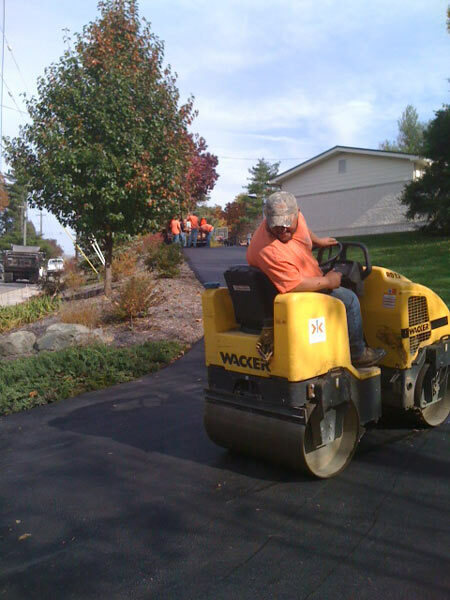 Minor asphalt patching may be needed before overlaying your driveway to ensure the new asphalt does not fail prematurely. To do this, we cut out the failed asphalt and install new base asphalt prior to installing the new asphalt surface course. 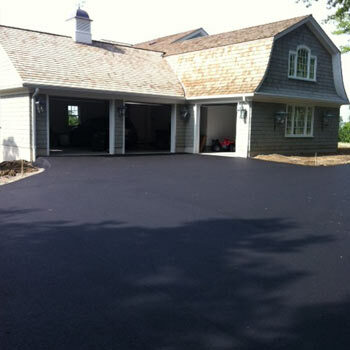 Another pertinent aspect to installing a proper asphalt overlay is to grind/remove the existing pavement near your garages, sidewalks and driveway entrances. This allows us to meet the adjacent pavements flush. We will check the grade of your driveway to ensure proper water drainage. 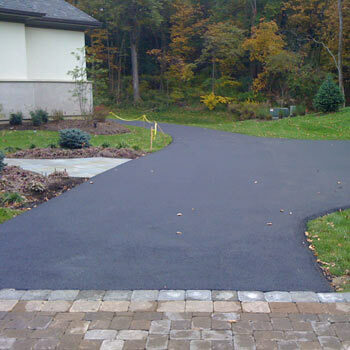 We do not want water to puddle on your driveway because it can become a hazard in the winter and cause premature deterioration of your new asphalt driveway. So what happens when your existing asphalt driveway has a significant amount of surface cracking and/or shows signs of subgrade failure? 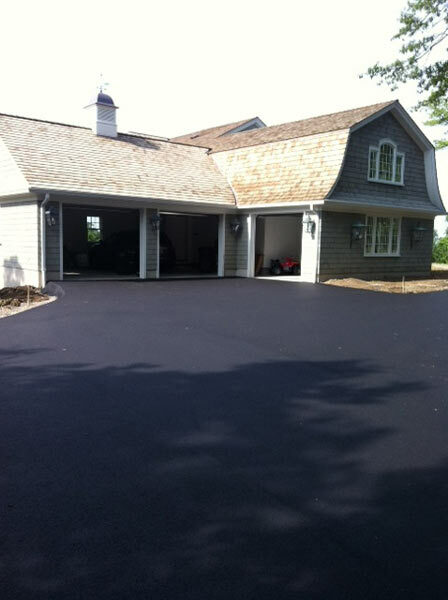 You may need to consider excavating your existing asphalt driveway prior to installing your new asphalt driveway. 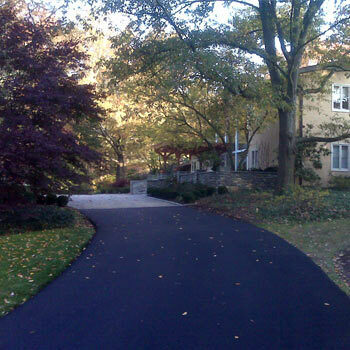 Asphalt Driveway Replacement is typically needed when the majority of the existing driveway is failing. This is indicated by alligatored/spider web cracking and/or settlement of the pavement. 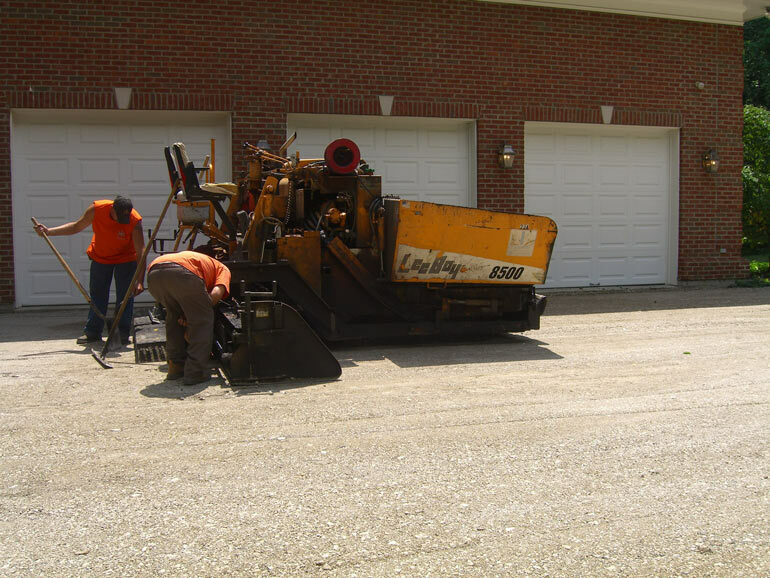 This process consists of using machinery to remove all the existing asphalt down to the gravel base. 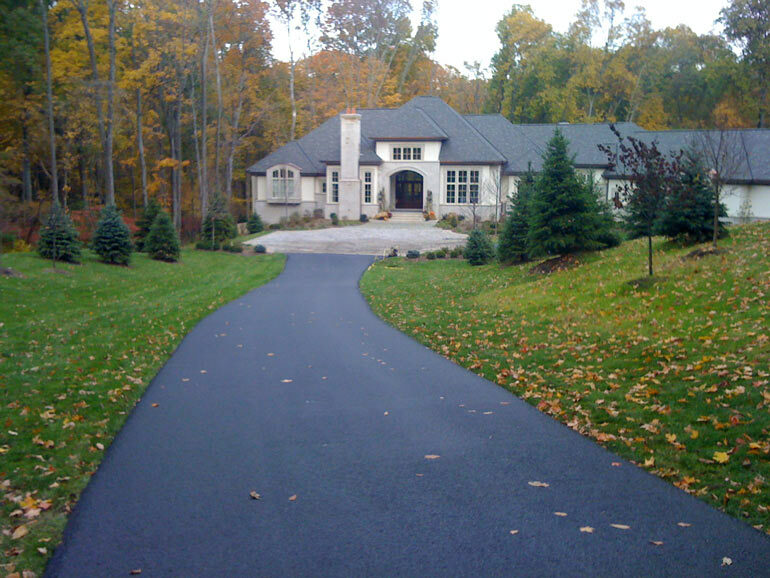 We typically will then install 1”-3” of gravel to level the driveway. 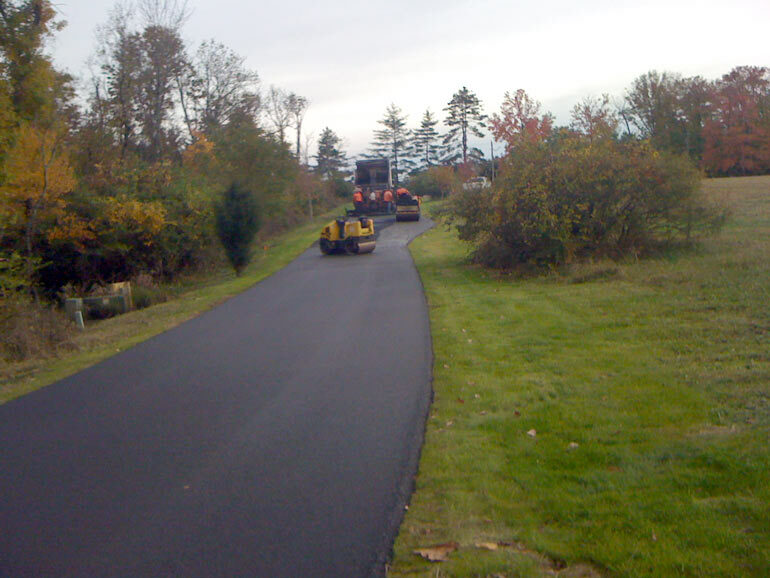 Asphalt is only as good as what’s beneath it; therefore, we will proof roll the gravel subgrade to ensure it is stable prior to installing the new asphalt. Driveway Widening/Addition Do you want a new layout to your driveway to compliment that new home addition or do you just need some more room to park your vehicles? 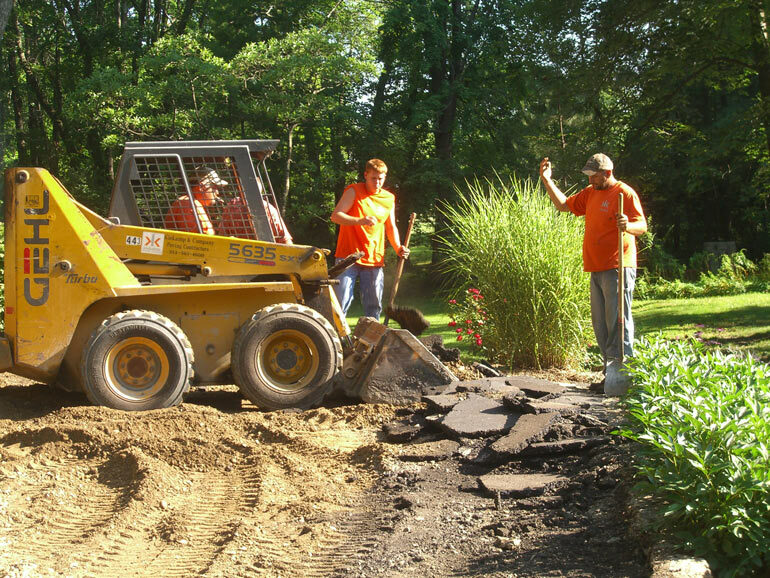 Driveway widening is a great way to make more room or improve the aesthetic layout of your home. 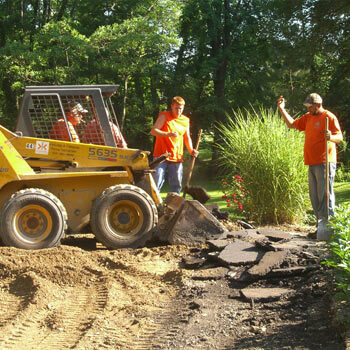 Driveway widening is a fairly simple procedure with the correct equipment. We typically excavate 10” in depth to remove all the top soil and reach your clay base. The next step involves installing 8” of #304 gravel, compacted in 4” lifts. This 6”-8” layer of #304 gravel creates a stable subgrade for your new asphalt pavement. The last step in the driveway addition involves installing a compacted 2” of surface asphalt (the standard residential asphalt spec). 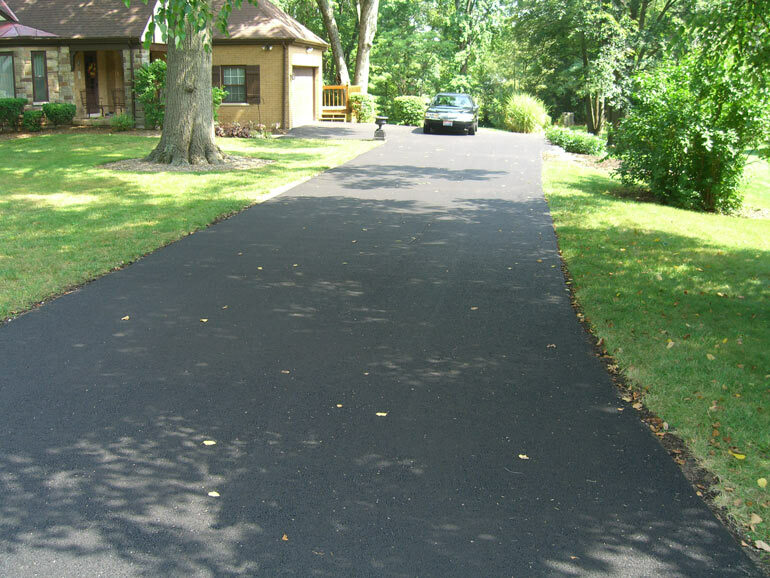 Tar & Chip is a great way to obtain the historic look of a gravel drive, reduce the amount of dust and provide an aesthetic improvement. 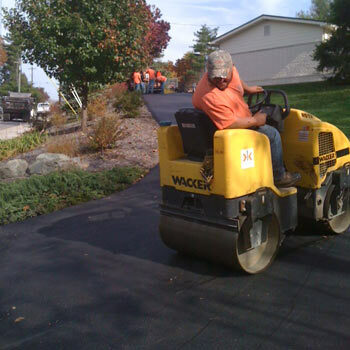 Tar and chip is the application of a tar based material to an existing gravel or asphalt driveway with various selections of aggregate compacted into it. 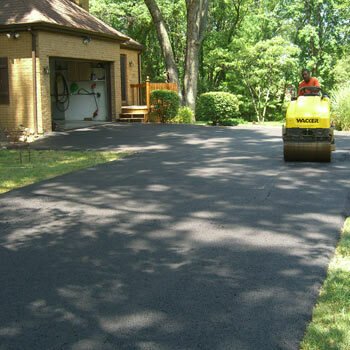 To properly install a tar and chip driveway the first step involves cleaning the existing driveway of loose dirt and debris. A layer of tar is then machine applied. 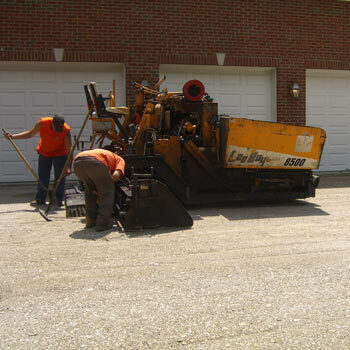 The last step of the tar and chip application involves dispersing the aggregate evenly over your driveway (depending on the width of your drive this is either performed by hand or an attachment on a truck) and compact. This entire process is sometimes repeated for a second layer. 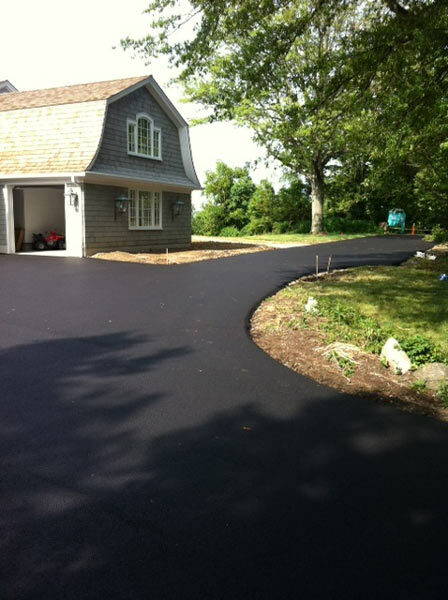 It is best to install 2 layers of tar and chip to a new tar and chip driveway. 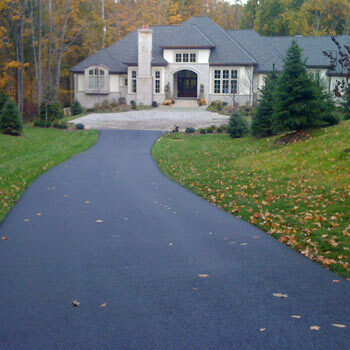 A tar and chip driveway is less expensive than an asphalt driveway and can be aesthetically appealing but also has its down sides. 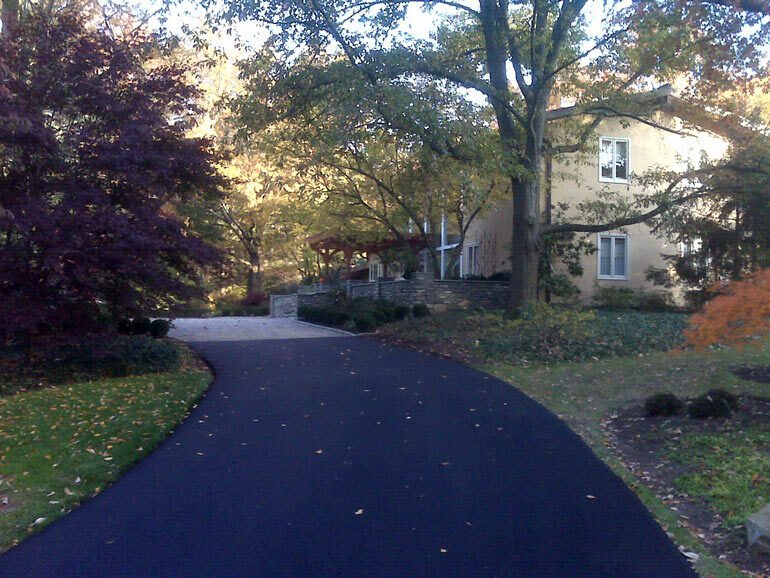 It is not encouraged to install a tar and chip if your driveway has a steep grade. 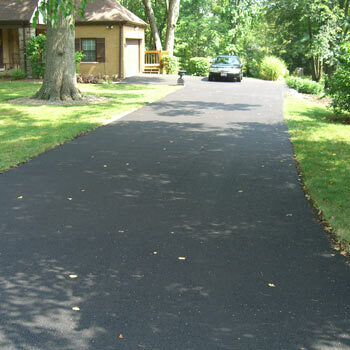 The steep grade of your driveway will make the new tar and chip driveway susceptible to erosion and wash out of the chips. Also if you have an area that is very tight and requires a lot of turning with your tires, the chips can be pushed to the side of a driveway requiring some attention. 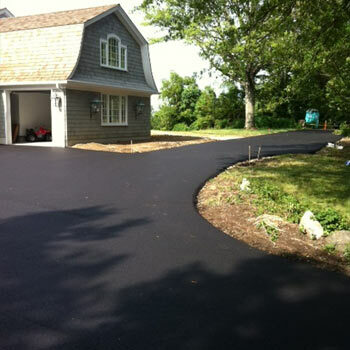 Thus tar and chip driveways have their positives and negatives, but with the right upkeep, your driveway could be the envy of the neighborhood.